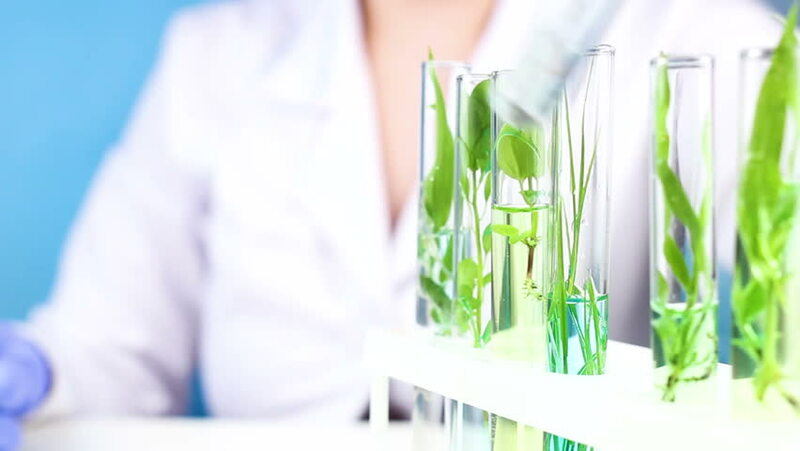 Scientist work with plant in test tubes in laboratory. Close up. 4k00:06Scientist work with plant in test tubes in laboratory.